Looking for a new home? 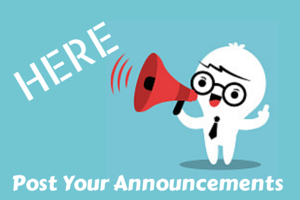 Here are 5 local area houses for sale ranging from $215,000 to $445,000, as featured on realtor.com. 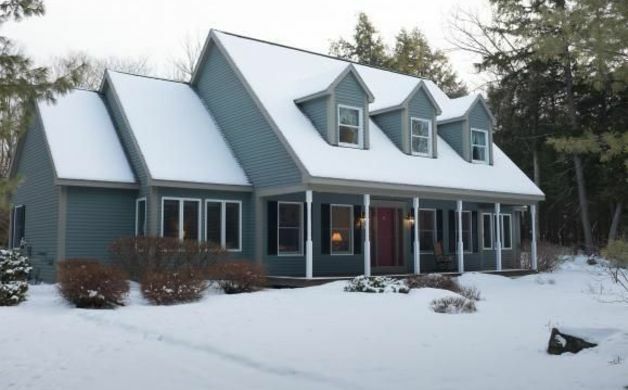 ($445,000) Stately Gambrel well suited to family living. More than 3,000 sf of very well conceived and maintained living space with 12 rooms including multiple gathering spaces, and five bedrooms. The owner is a landscape designer and the grounds are stunning. Delightful wood flooring, clean lines and crisp look and feel add to the high function aspects of this Woodstock Gem. One of Woodstock's most sought after family neighborhoods, walking distance to the Middle/High School and Ice Arena. You can be in the Village by car in less than 5 minutes. This is a beautiful home in a great location. ($370,000) This 3 bedroom, 3 bathroom cape is located just outside the village of Woodstock. On the main floor is the living room, kitchen, Â¾ bathroom, dining room, and a full bar for entertaining. Upstairs are 2 guest bedrooms, a full bath, and the master bedroom. The basement is mostly finished and could be used as an in-law apartment. Currently it is used as a recreation room, with a wine cellar, A ¾ bathroom and an additional bedroom. Just outside is an in-ground pool to for those wonderful summer days or evenings. 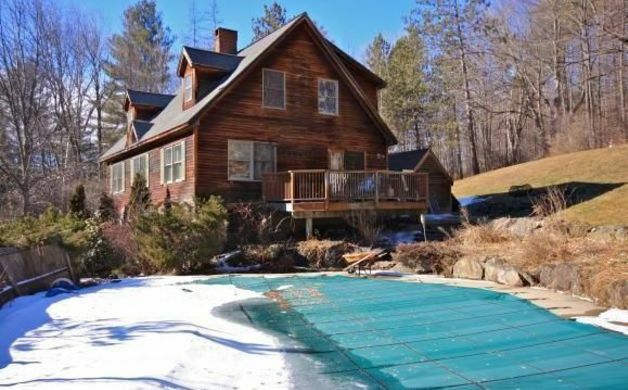 The property is next to Grassy Lane for hiking, biking or cross-country skiing. Close to Woodstock for shopping, dining or entertaining. Skiers, Killington and Okemo are only 30 minutes away. 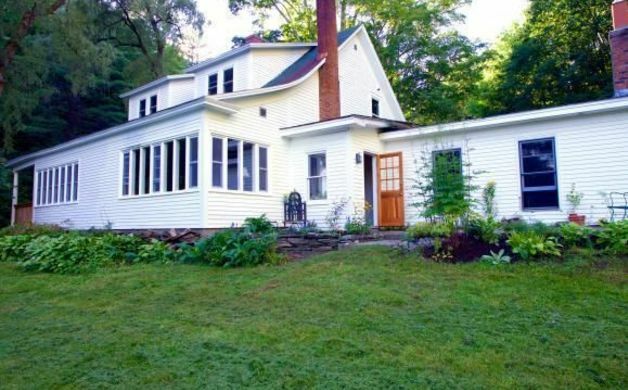 (415,000) A TRUE HOME - New Englander with antique charm and modern conveniences. Overlooks neighbor's pond, perennial gardens, and 3 lush acres and including 4 heritage apple trees. BRAND NEW ROOF 2016! A cook's kitchen with stainless steel appliances, Bosch dishwasher, Granite top island, Electrolux gas range & double oven, and red birch cabinets. High efficiency washer and dryer. Newer double pane windows throughout! Gas and wood stoves, oil furnace, so lots of options for heat. Newly refinished floors in kitchen/hall. Three car garage has office or studio space above, with potential for apartment/living space. Visit this home that has been enjoyed and cared for by an architect, two writers, two painters and a well known cook. Constantly improved over the years, this Quechee gem (NOT QLLA) has easy access with country feel. 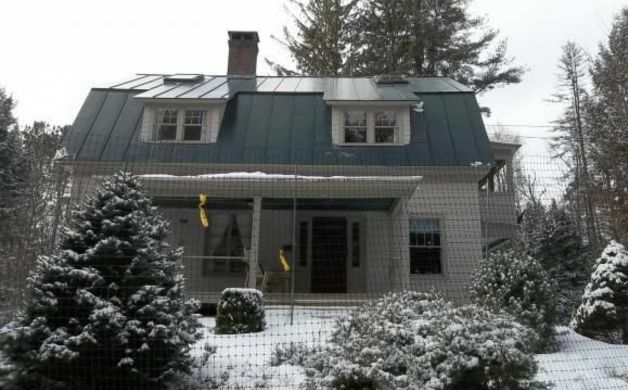 ($349,000) This lovely home is snuggled on a private lot and just minutes to Quechee Main Street and Quechee amenities. This specially designed Cape with a 2 car garage was built by one of the areas top end builders. Enter from the front into a center hallway with a cathedral ceiling with an attractive winding staircase up to a hallway looking down to the spacious living room. There are 2 bedrooms, bath and storage area on this 2nd level. Master bedroom and 1.5 bath on first floor, family room, living and dining room, kitchen. Door in mud room area leads out to a nice deck, 2 car garage and back yard. Truly a special house and wonderful price. 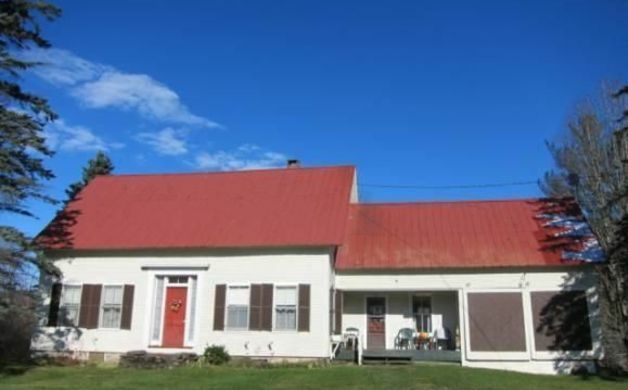 ($215,000) "RICHMOND BROOK FARM" - Historic Vermont Farm House circa 1862 on approx. 2 acres in S. Barnard. Classic panelled den, eat-in kitchen with custom built cabinetry, dining room, bedroom/office downstairs with full bath and three other bedrooms, bath and large office area upstairs. Garden areas, gorgeous brook, spring fed water supply. Even has the original "three holer" attached off the back of the kitchen area! Adjacent to one of Barnard's largest dairy farms, in Beautiful Barnard Vermont and only 9 mins to Woodstock. Garage and barn across road are available separately, owner is flexible. PRICE NEGOTIABLE. Prospective buyer may use adjacent barn, garage and farm fields until sold, and would also be given a first right of refusal on this adjacent property. All pictures are cutesy of realtor.com.